HomePoliticsTriggering Article 7 against Poland: nuclear bomb or wet firecracker? Pologne – Forty years ago, Poland lit the spark that would put an end to Communist totalitarianism in Central and Eastern Europe. Today, the European Commission has launched the first phase of Article 7 of the Lisbon Treaty against Poland. The country is accused of not respecting European fundamental values. Is it true that so soon after its return to the “free world”, Poland is on the verge of becoming a dictatorship again? To better understand the origin of the tensions between Poland and the European Commission, it is necessary to return to the conflict around the Constitutional Court which animates the Polish political scene for several years now. Through Frans Timmermans, its responsible for upholding the rule of law in the EU and in charge of the “Polish dossier”, the European Commission criticizes the Polish government for failing to respect the principle of separation of powers by appointing “its” judges to the Constitutional Court. The latter represents the highest degree of jurisdiction of the Polish state. It is composed of fifteen judges, including a president. The Polish Constitution stipulates that the organization of the Constitutional Court and the appointment of the judges who are sitting in it shall be determined by the Parliament by means of a law. To do so, the Polish constitution does not require a qualified majority, which gives the ruling party a lot of room for maneuver. The theory is that judges sitting in this jurisdiction are apolitical. In fact, judges are appointed by the party with a majority in parliament. The only person who can turn to the Constitutional Court in case of doubt as to the legality of a law is the President of the Republic. 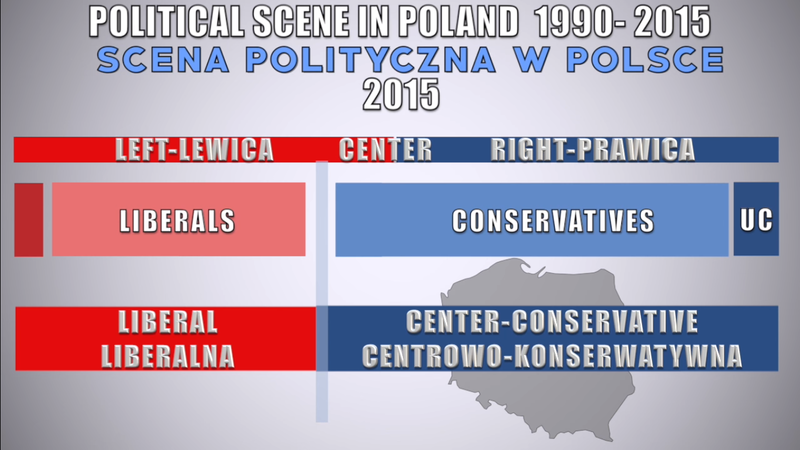 As in many Western democracies, the Polish political scene is dominated by two major parties: the Liberal Platform (PO) (Platforma Obywatelska) and the conservative Law and Justice Party (PiS) (Prawo i Sprawiedliwosc). Before gaining the prestigious position of President of the European Council, Donald Tusk was Polish Prime Minister from 2007 to 2014. He was the undisputed leader of the PO, who had a majority in parliament. Jaroslaw Kaczynski’s PiS was then in opposition. In August 2014, Donald Tusk becomes President of the European Council. Less than a year later, in May 2015, PiS candidate Andrzej Duda won the presidential election against the PO candidate, the pollster’s favorite and outgoing president Bronislaw Komorowski. The PO then hastened to pass a law allowing the president still in office to appoint in advance five judges (instead of three) to replace those whose term ended at the end of the year. President Komorowski signed the new law a few days before his successor, Andrzej Duda, took office. At the time, the opposition growled. The demonstrations multiplied. PiS members denounced an unconstitutional scheme. Surprisingly, Frans Timmermans and Guy Verhofstadt were then not worried about a possible threat to democracy in Poland. Six months later, the PiS won the legislative elections with flying colors and Beata Szydlo became Prime Minister. The results of these elections represent an unprecedented shock on the Polish political scene for at least two reasons. First, it was the first time since the collapse of the communist regime in 1989 that the left had no seat in parliament. 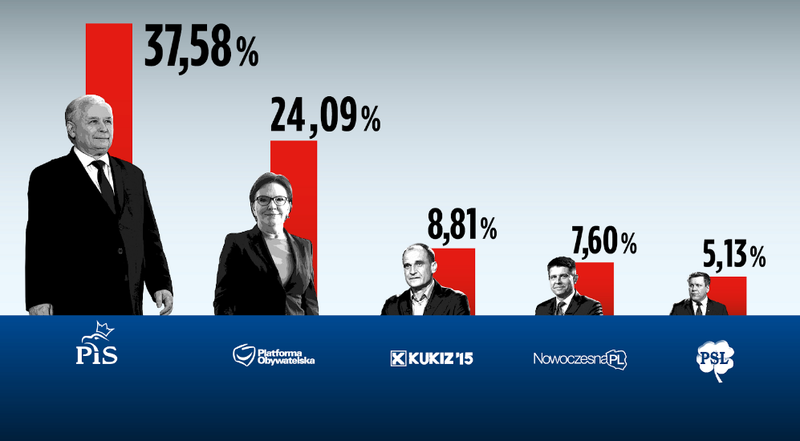 Secondly, the PiS conservatives were getting the absolute majority for the first time. The left and the liberals had a hard time accepting this defeat (1). The PiS governs alone with its allies in a United Right list, leaving the PO in the opposition with the Kukiz’15 party (conservative), Nowoczesna (liberal libertarian) and the PSL (peasant party). The balance of power has changed diametrically. The PiS is now untouchable. It has not only the absolute majority in parliament but also one of its leaders as President of the Republic. With this new situation, Jaroslaw Kaczynski’s party reorganized the Constitutional Court. 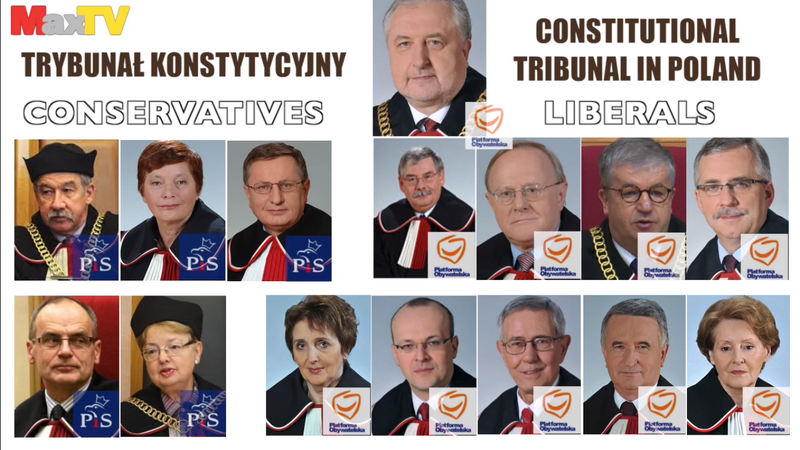 The PiS nominated five judges (instead of two) and multiplied the reforms of the Constitutional Court by voting no less than six laws in less than a year on this controversial issue. However, the popular mobilization against the government of Beata Szydlo was only relative. For example, the biggest demonstration of the KOD (Committee for the Defense of Democracy) that took place on May 7, 2016, in Warsaw gathered between 30,000 and 45,000 people according to the police (2). Another recurrent criticism of the Polish Conservative government is its alleged appropriation of the media. Polish National Television (TVP) is regularly nicknamed “TVPiS” by the opposition. It is true that the benevolence of TVP vis-à-vis the power is no doubt. It is even so obvious that it recalls the eight years the Liberals were in power and during which this same national television was largely in favor of the PO. “Kaczynski-bashing” was then commonplace. In this exercise, some journalists (such as the famous TV presenter and editor-in-chief of the Polish version of Newsweek magazine Tomasz Lis) flirted not only with the limit of good taste but also with that of journalistic ethics. There has therefore been something relatively banal in Polish broadcasting. 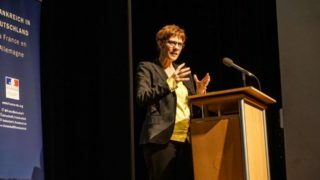 As it is the case in many Western European countries, the public broadcasting sector has been somewhat remodeled to better accommodate the new power in place. Apart from the case of TVP, the editorial lines of most audiovisual groups and the main press titles have not changed. They are also very varied. Kiosks feature magazines and newspapers of all stripes. So there is no need to worry about respect for freedom of expression in Poland. 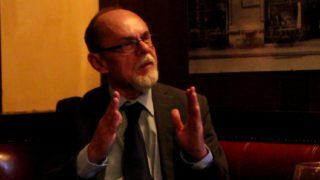 Editor-in-chief of the Polish version of Newsweek magazine Tomasz Lis was filmed while chanting anti-government slogans at a KOD protest. The German-Swiss group Ringier Axel Springer, owner of the magazine, made no decision about his employee. 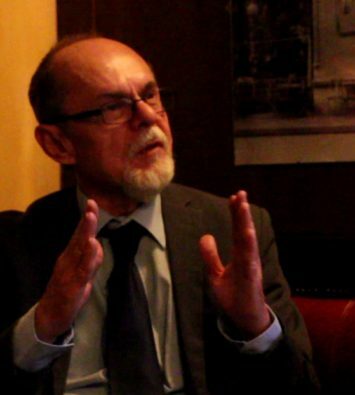 Polish public opinion has interpreted this lack of reaction as a green light given to Tomasz Lis to fail his mission of journalistic neutrality by inciting rebellion against the government. One of the key figures in the European Commission’s mounting fears over Poland is the current President of the European Council Donald Tusk. On May 9, 2017, Donald Tusk has been appointed for a second term of two and a half years as President of the European Council. This choice was almost unanimous among the 28 member countries of the EU. The only country to oppose it was … Poland. Moreover, there is not the slightest trace (photo, video, recording, …) of how this designation took place. The Polish Foreign Minister Witold Waszczykowski at the time did not hesitate to question the legality of such a choice at the level of European law. The reasons for the reluctance of the Polish government to give the green light to its former Prime Minister are diverse. First, the PiS government had previously proposed its own candidate, Jacek Saryusz-Wolski, MEP and PO member, to succeed Donald Tusk as President of the European Council. He was not auditioned. (5) Secondly, it is the very credibility of the former Polish Prime Minister which is in question. His eight years as head of the Polish government were marred by numerous scandals of corruption (6) and neglect of his responsibilities as a statesman (7). 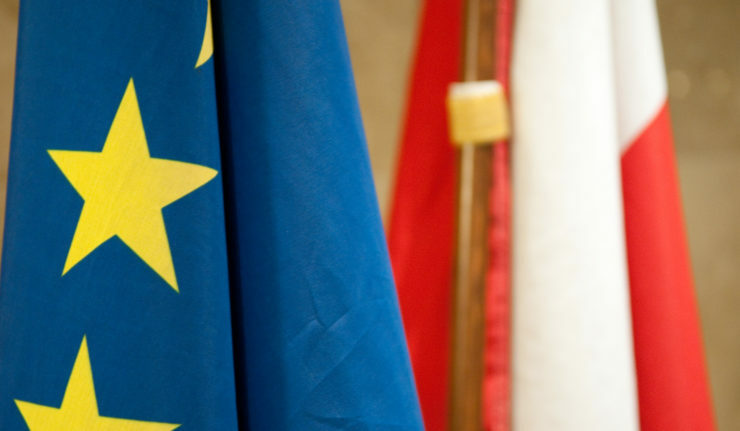 Thirdly, the Polish Government accuses Donald Tusk of not having respected his duty of neutrality during the first half of his term as President of the European Council. On December 18, 2016, he gave a speech in which he invited the Polish people to protest against the power in place (8). The term of Donald Tusk as President of the European Council expires in July 2019. There is no doubt that if Frans Timmermans is able to discredit the current Polish power, Donald Tusk would be the first beneficiary on the Polish political scene. 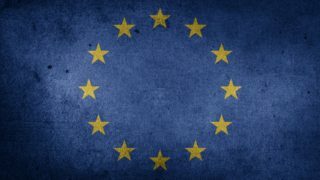 Article 7, a waste of time? The sanctions process initiated by the European Commission against Poland seems doomed to failure. 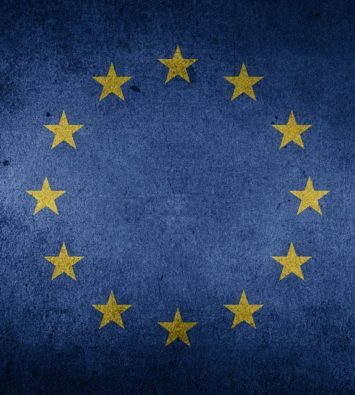 Its entry into force requires the unanimous approval of the EU member countries, except for the country concerned. 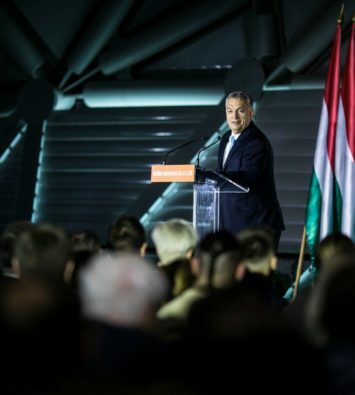 Hungarian Prime Minister Viktor Orban has already indicated that his country would oppose this decision, which could deprive Poland of its right to vote at the European Council. It is also possible for the Polish government to obtain support from other countries such as the Czechia or Slovakia. In recent years, the countries of the Visegrad Group (Poland, Czechia, Slovakia and Hungary) or V4 have become considerably closer. They seem to share the same priorities in their fight against illegal immigration and the refusal of migrants quotas imposed by Brussels. Finally, is it possible that a journalist was murdered for criticizing the government? Yes. This happened, but in Malta. Could demonstrations have been violently stopped and elected officials arrested by the police? Still yes. It happened, but in Spain this time. Would Poland not meet the Maastricht Treaty criteria by achieving record debt levels? No, this is the case of France. These are just a few examples to illustrate the fact that other EU member states are experiencing situations that are at least delicate in terms of European law. Yet only Poland seems to be in the eye of the storm. Europe is currently affected by different crises (migration crisis, terrorism, Brexit, …). Despite this, the “Polish dossier” is one of the priorities of the European Commission. The triggering of Article 7 against Poland has, as explained above, little chance of succeeding and risks aggravating existing divisions within the EU. (1) On November 18, 2015 the “Committee for the Defense of Democracy” or KOD (Komitet Obrony Demokracji) is created. This movement brings together the politicians of the PO, the liberal / libertarian Nowoczesna party, the peasant party, PSL, and those of the radical left. (SLD). In the months following the November 2015 legislative elections, KOD is organizing numerous anti-government demonstrations across the country. This movement is funded by the Open Society Foundations of American billionaire George Soros. (2) The number advanced by the mayor of Warsaw (the party PO) is 240,000 demonstrators and the event is then presented as being “the biggest popular demonstration since the fall of communism”. It is these figures and this expression that will be retained by the international news agencies. (5) Jacek Saryusz-Wolski was expelled from the OP, and therefore from the EPP the same day that Donald Tusk was re-elected as President of the European Council. (6) Among them are the “record scandal”, the “Gdansk shipyard scandal”, the “gambling scandal” and the “Amber Gold scandal”. 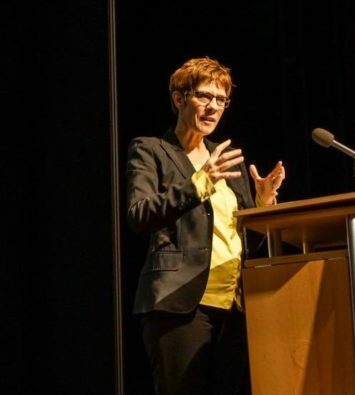 (8) This speech is delivered on 17 December 2016 in the city of Wroclaw, which is the European Capital of Culture. The article is supposed to provide a wider context, but only blurs the picture. Parts sound as if they were written by the Law and Justice press office, rather than a free media outlet, far from ideological bias. Unfortunately, the author’s omissions of facts or their distortion make it unable to understand what the conflict is all about. The author claims that the judges of the CC had some ideological labels. That may be the case in the US Supreme Court, but hardly is in Poland. 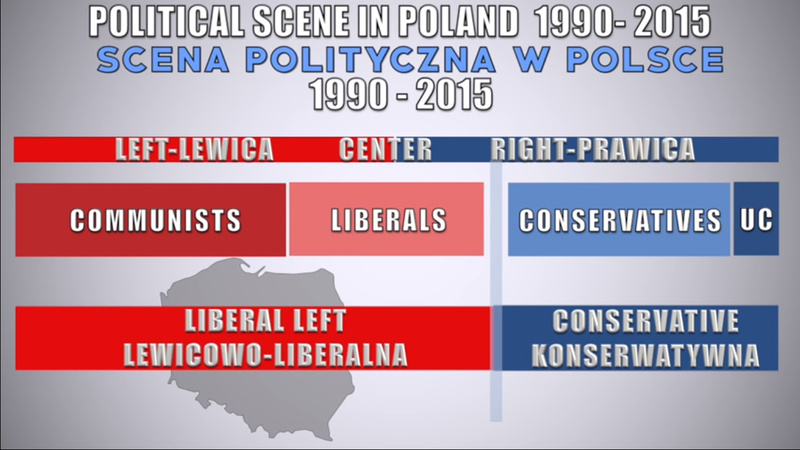 In fact, the CC has always been rather more conservative than not and the only situation when it was accused of ideological bias was when its former president Andrzej Rzepliński was awarded a Vatican medal and that created an uproar on the left side of the political scene as doubts were raised about his ideological transparency in this context. The author strangely fails to mention that in 2016, when the conflict over the Constitutional Court broke out, nine out of 15 judges had been appointed by Civic Platform AND Law and Justice. That much for their liberal label. Even more important is the fact that both the PiS-dominated Parliament and the President violated the constitution appointing three judges to the seats already taken. Later the government broke the constitution refusing to publish the CC verdicts. Now the CC which was supposed to be cure all the ills of the previous court has become a caricature of an independent tribunal under the presidency of a person who was appointed in violation of the regulations that PiS adopted breaking the constitution for the nth time in the process. The author uses the Soviet tactics of whataboutism trying to make an impression that even though there may be something wrong about the PiS controlled media, the previous government was no better and 75% percent of the press is in German hands. The claims of Kaczyński-bashing are true only if we take any form of criticism or political discussion as bashing. And failing to notice Soviet-style propaganda in the state-owned media is a feast of hypocrisy on the part of the author. Also, the author fails to inform the reader how the fact that 75% percent of the press is allegedly owned by German capital affects the quality and impartiality of the texts. Then it would be wise to ask if the fact Law and Justice owns or controls several titles in Poland that receive considerable support from the state affects in any way their impartiality. But these questions are never asked. Magyarul szeretnék hozzászólni a témához, mert ezt a nyelvet beszélem jól. Azt nem értem, hogy a lengyelek miért nem dolgoznak Oroszországgal való kapcsolatuk javításán?Innen, abból az országból, ahol élek,úgy tűnik nekem,hogy csak irracionális oka lehet annak, hogy Lengyelország nem akar békés és normális kapcsolatokat kiépíteni közvetlen szomszédjával.Minden értelmes érv amellet szól, hogy a lengyelek és az oroszok kibéküljenek,hogy legyen végre valamiféle megbékélés, ami főleg Lengyelország érdeke lenne.A politikát lehet érzelemmentesen is művelni, pl. 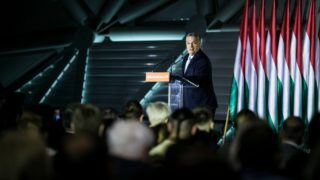 a magyarok túltették magukat a sérelmeiken és nem ellenségesek Oroszországgal szemben.A sebek nyalogatását illene abbahagyni és végre értelmes külpolitikát látni a lengyelek részéről.Baráti nemzetek vagyunk, nem értem,miért nem követi Lengyelország legjobb visegrádi partnere, Magyarország példáját?Mikor már késő lesz, akkor már hiába próbálkozna ezzel.Imádkozom a lengyelekért, egyebet nem tehetek.Minden jót kívánok Lengyelországnak.